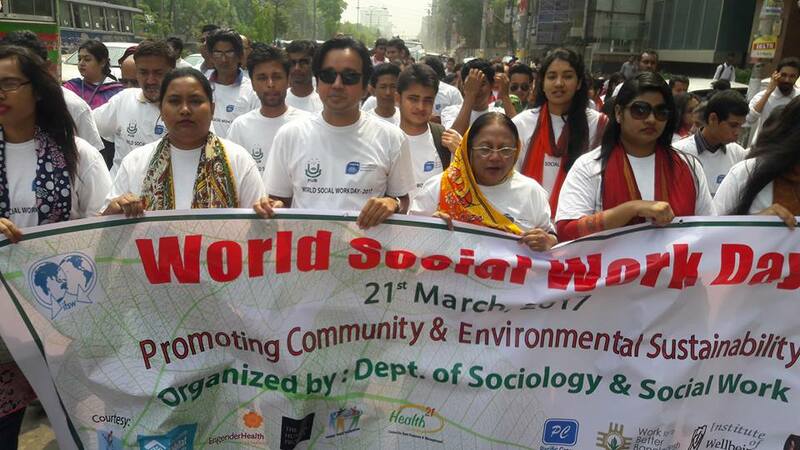 World Social Work Day 2017 (WSWD) was on the 21st of March. 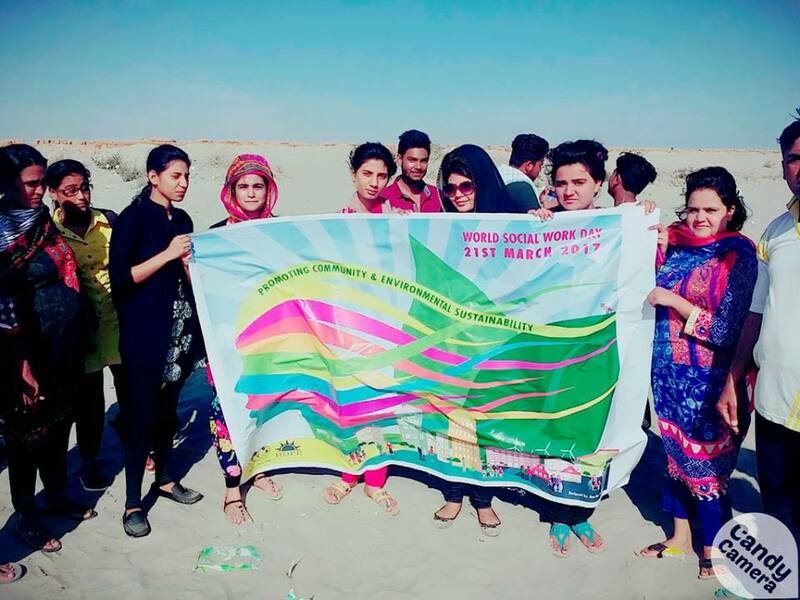 The theme ‘Promoting Community and Environmental Sustainability’ related to the third pillar of the Global Agenda for Social Work and Social Development. 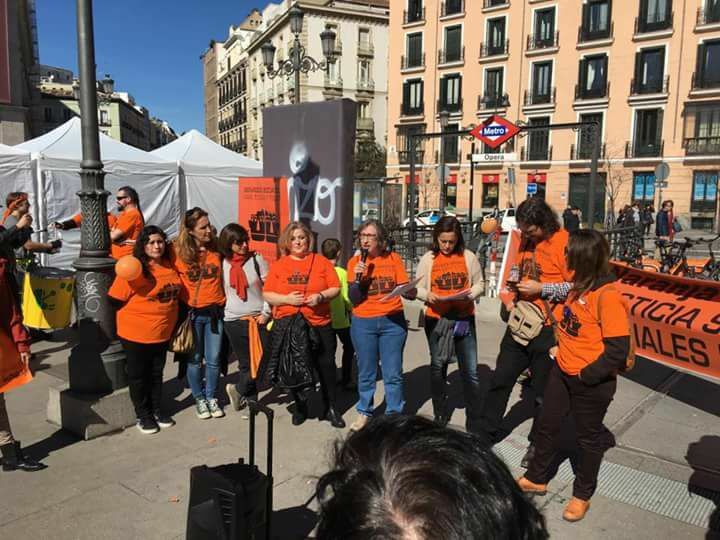 “The global profession is getting stronger each year and in 2017 we witnessed the largest mass movement of a united social work profession taking action with an essential message on sustainability”, said IFSW Secretary-General Rory Truell. 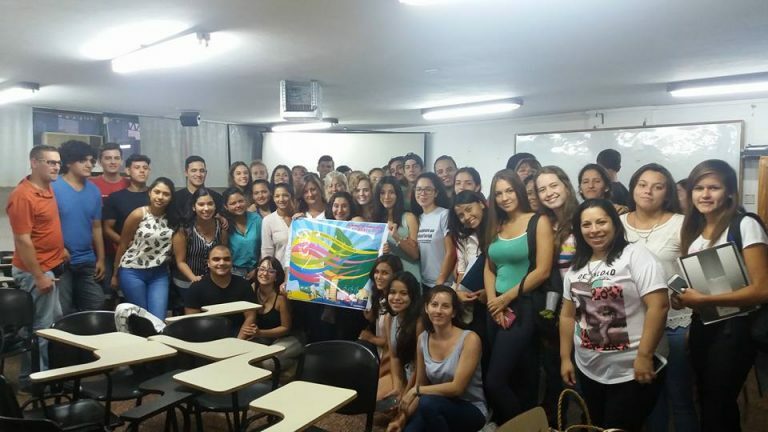 “IFSW thanks and congratulates all social workers who took part in these events”. 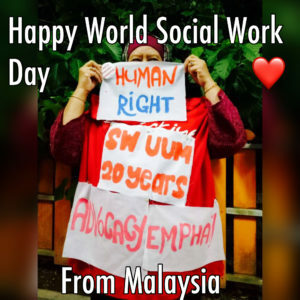 Interested in the history of World Social Work Day? 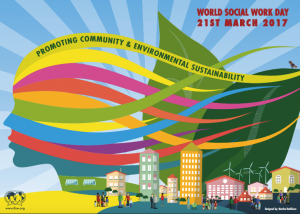 All social work partners and members are welcome to co-brand the WSWD poster by adding their logo alongside the IFSW logo. 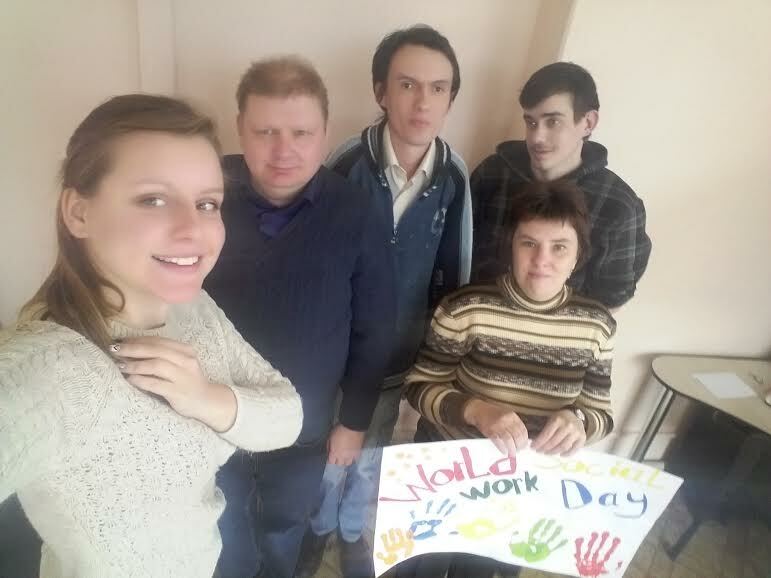 We also invite member organisations to translate the poster into their own languages. 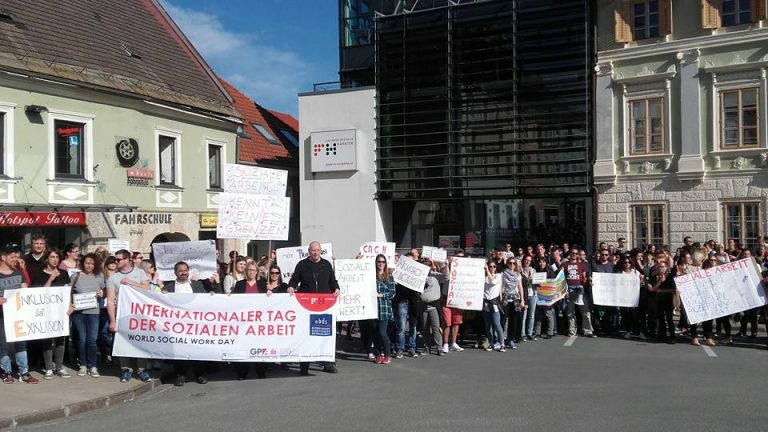 Last years poster was translated into 45 languages highlighting global professional unity and agreement to stand together and act on the theme. 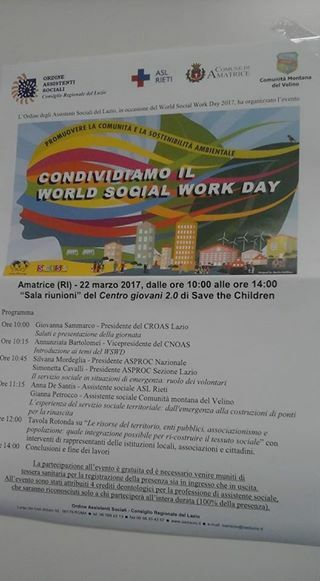 The poster for the event has been translated by social workers into 43 languages and displayed in communities, workplaces, schools, social services, universities and on banners in street demonstrations, highlighting the contributions of social work and promoting public discussion/action on sustainability. 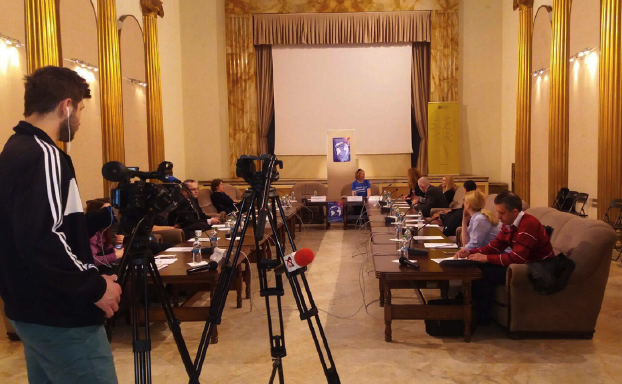 In many countries the theme message was presented to governments and the United Nations. 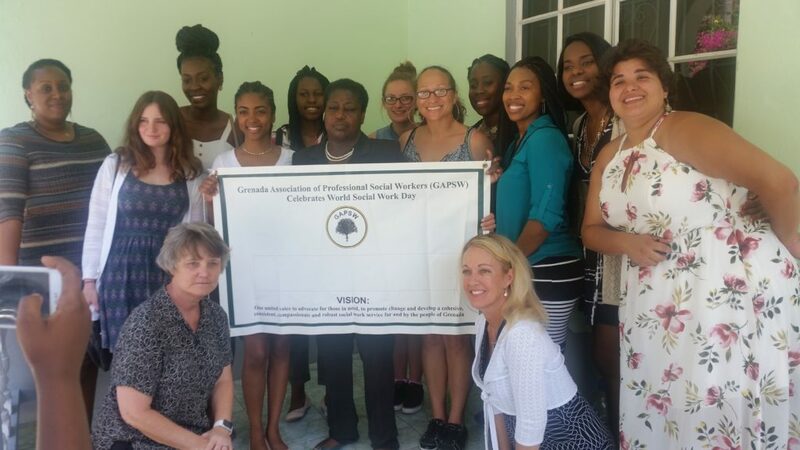 Thank you to all – it is a significant professional step forward that world-wide social workers promote Community and Environmental Sustainability! 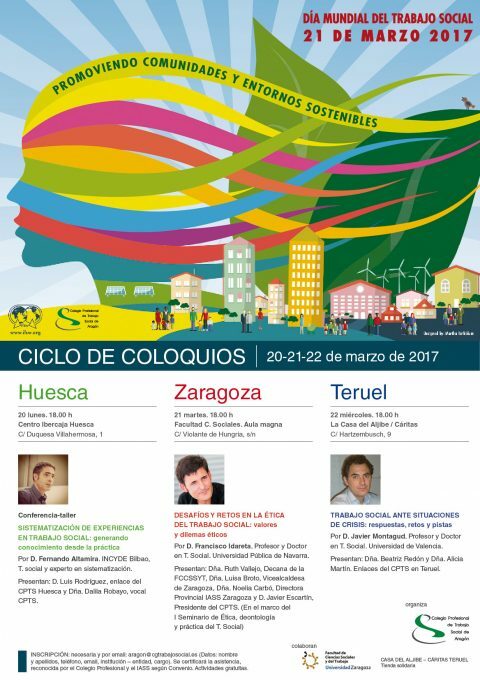 IFSW will post your translated poster on our website so that it can be shared across the world. 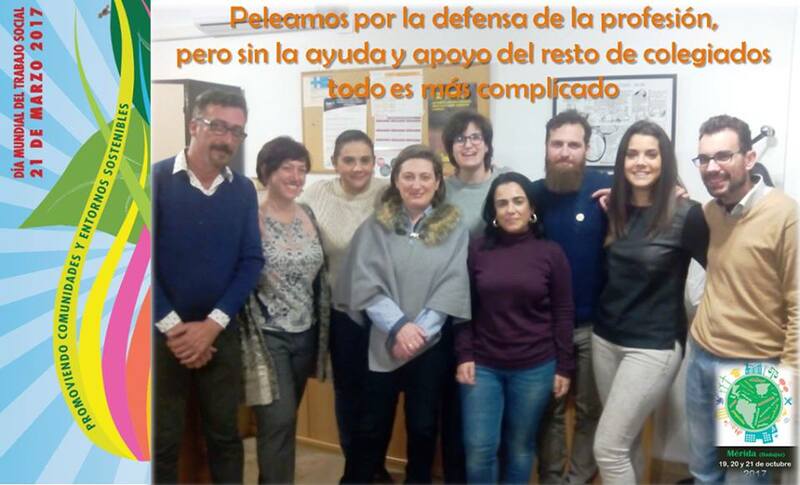 (Please note that the IFSW relevant member organisation must approve the translation which may take a few days). 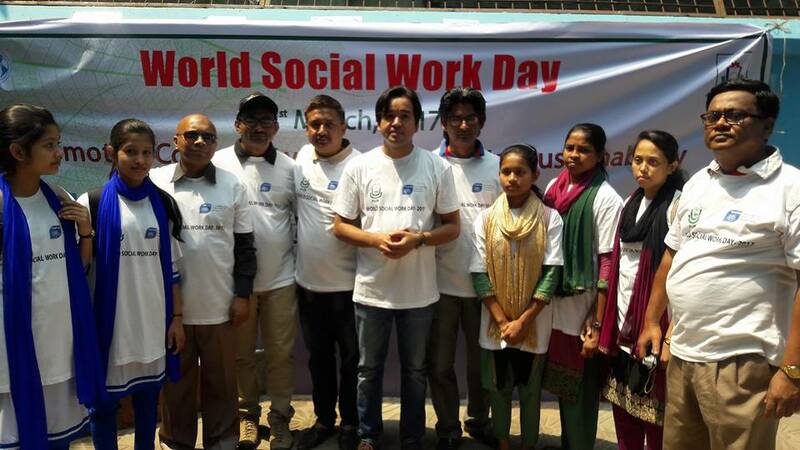 Below are videos, photos and links to the some of the activities that took place on World Social Work Day. If you would like to add information to this record, please send your photos/video or links to global@ifsw.org. 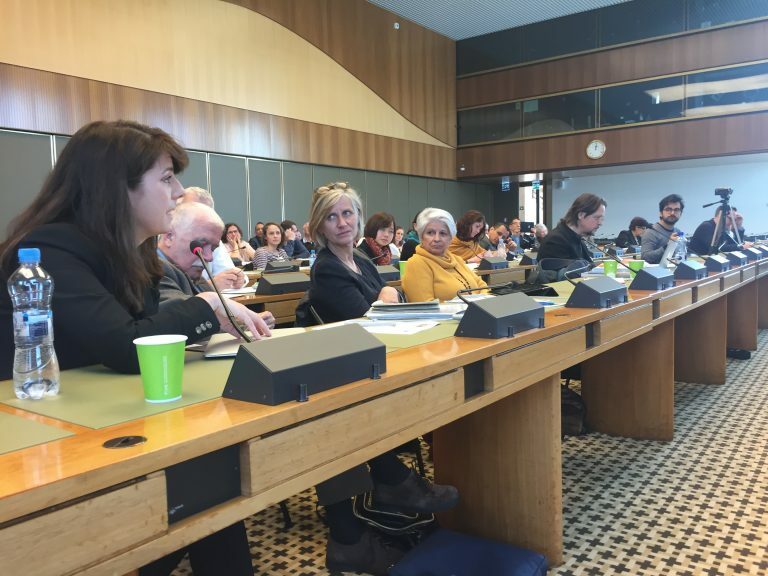 IFSW organised events on World Social Work Day as part of its representation work at the United Nation offices in Geneva and New York. 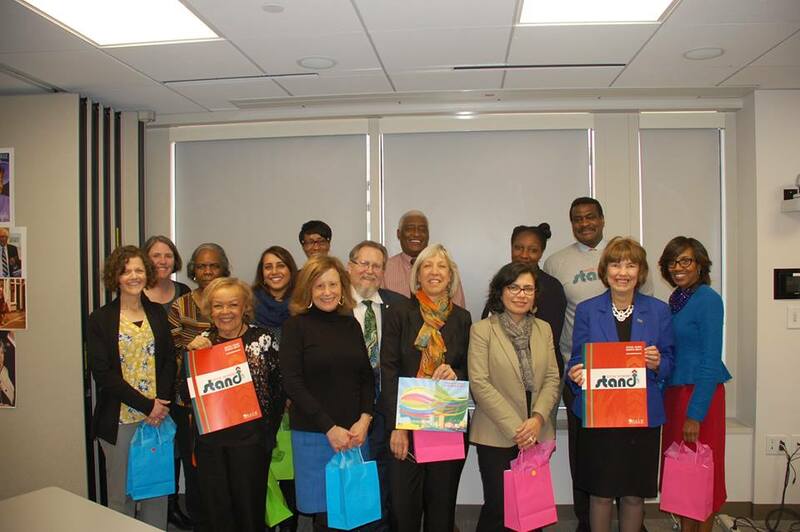 More information about our work at the United Nations. Download the 2017 Bangkok poster. Press release in French (PDF). 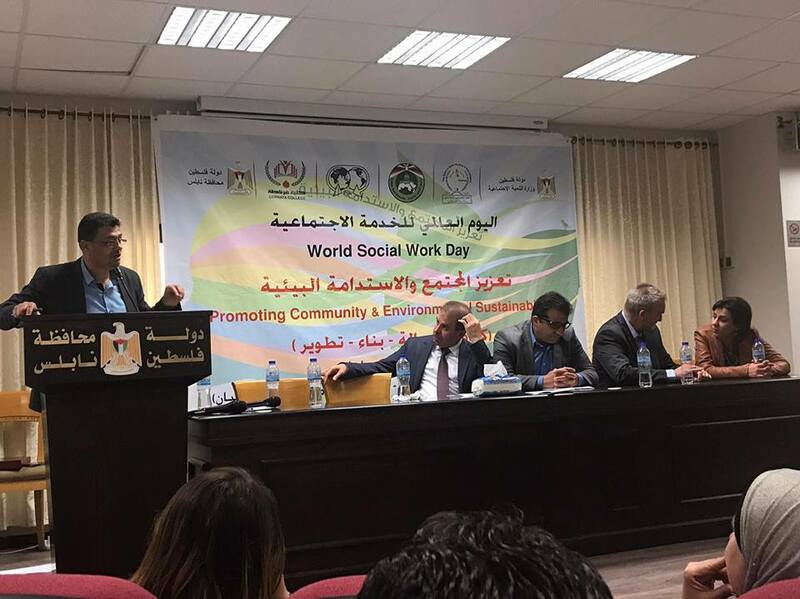 As part of World Social Work Day, the Secretary of State for the Ministry of Social Affairs and Health, in charge of Disability and the Fight Against Exclusion, provided an update on the main Implementation of the action plan for social work and announced two new measures for the upgrading of social work. 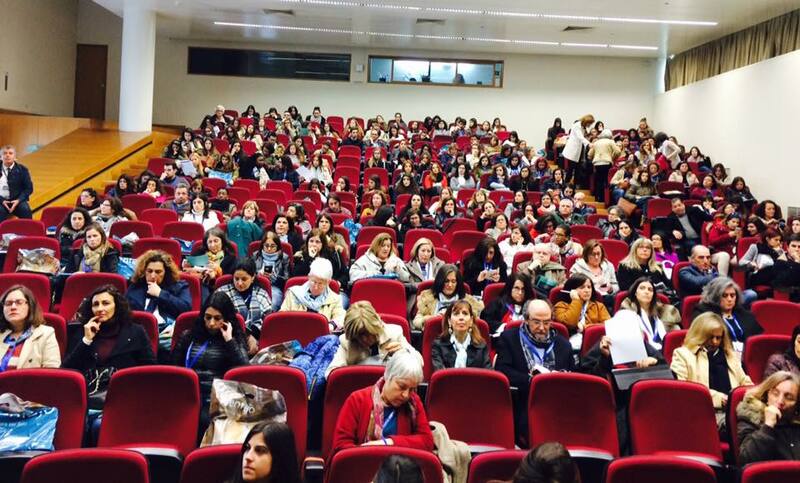 WSWD celebrated along with the 60th anniversary of the Greek Professional Association of Social Work (SKLE). 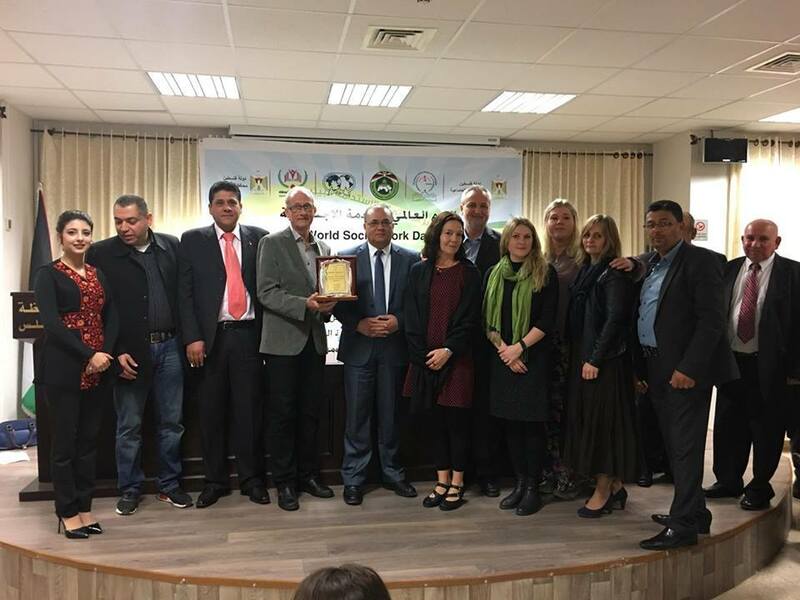 In Israel, WSWD was celebrated as a special event at the Knesset (Israel Parliament): Social workers participated in meeting of several House committees dealing with various welfare-related issues, and then at a general meeting hosted by the Minister of Labour and Welfare and Knesset members. 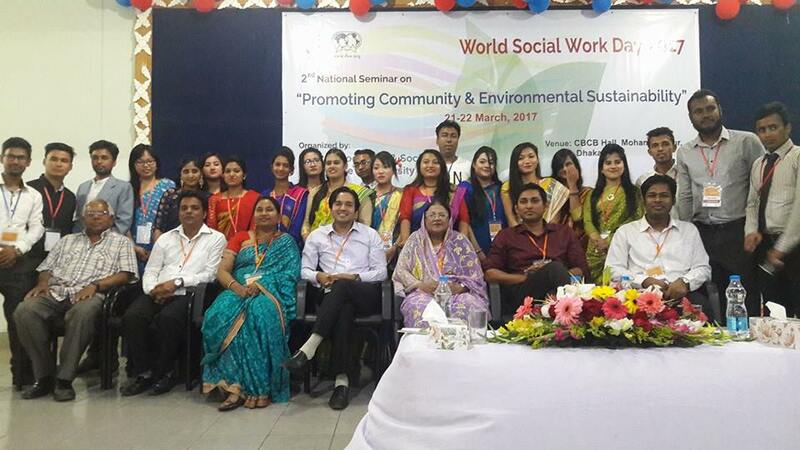 Several prizes for excellence in social work were distributed at this event. 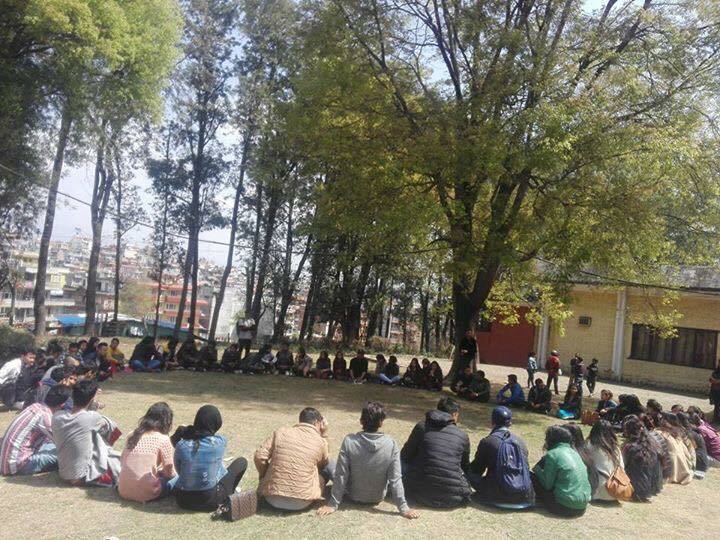 The Japanese Coordinating Body (JCB) for IFSW Membership organized a World Social Work Day symposium on March 20th (Mon), a national holiday in the country (namely Spring Equinox Day). JCB is an umbrella organization for the following four professional associations: the Japanese Association of Social Workers (JASW), the Japanese Association of Certified Social Workers (JACSW), the Japanese Association of Social Workers in Health Services (JASWHS), and the Japanese Association of Psychiatric Social Workers (JAPSW). 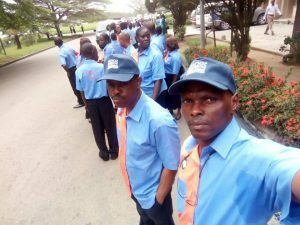 Since Japan has a National Social Worker Day (celebrated every year in July at the national holiday of the Day of the Sea), this was the first time for major WSWD celebrations in Tokyo. 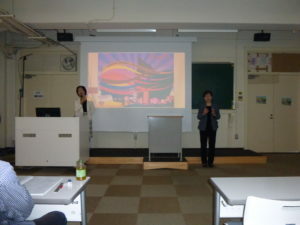 The opening address was delivered my Ms. Yumiko Hayasaka (President of JASWHS). It was followed by reports from two joint JCB committees, one for international affairs and one on Hansen’s disease. 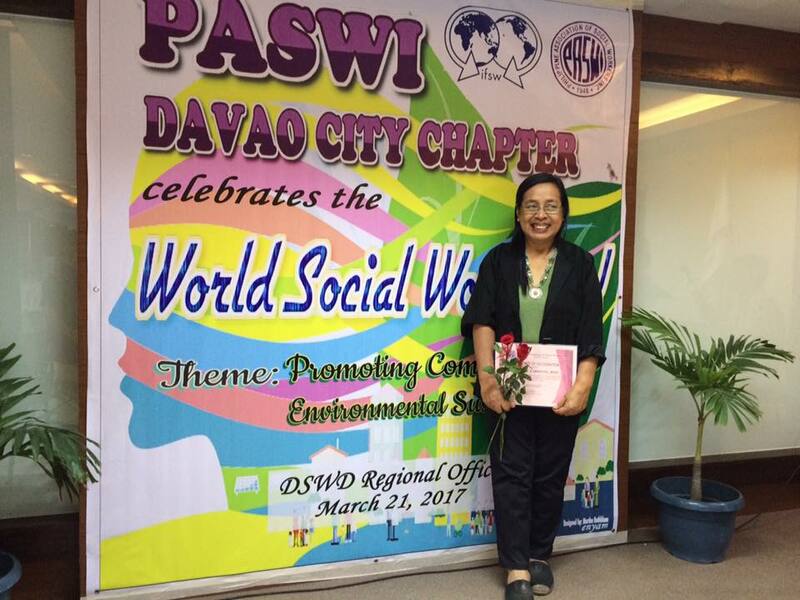 The former was presented by Ms. Michiko Hirata of JACSW (also Treasurer of IFSW-AP) and focused on regional workshops co-organized by IFSW-AP and co-sponsored by the Japanese Center for Social Welfare Promotion and National Examination via JCB (Indonesia and the Philippines in FY2015/16, India and Malaysia in FY2016/17; Nepal and Vietnam scheduled for FY2017/18). In the latter report, Mr. Naoto Kita (Standing Director, JAPSW) acknowledged how the social work profession in Japan historically collaborated with segregation and detention policies and explained about current JCB services for Hansen’s disease patients. 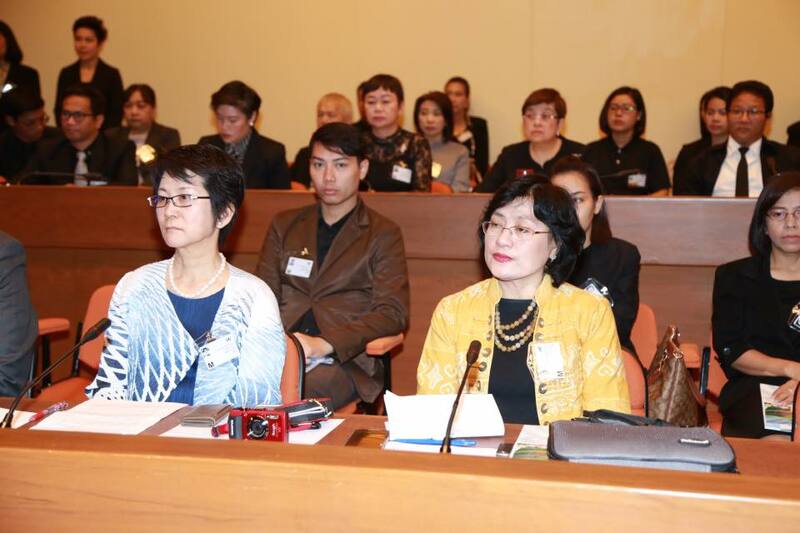 The event was continued by a speech given by Mr. Ken Hongo from the Ministry of Health Labor and Welfare’s Social Welfare Bureau about recent developments in national policy, especially the community-based integrated care system. 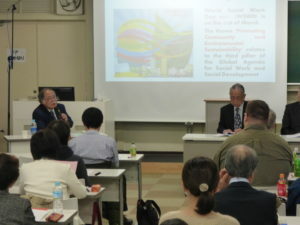 The last session was a panel discussion between the JCB member organizations coordinated by Mr. Masakazu Shirasawa (Representative of the Research Council of Social Care Service Practitioners). 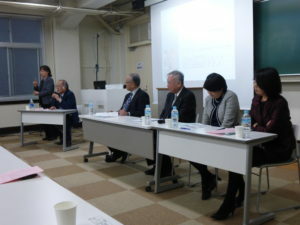 The four panelists were JASW President Mr. Tamio Okamoto, JACSW President Mr. Katsuhide Kamakura, JASWHS President Ms. Yumiko Hayasaka, and JAPSW President Ms. Kazue Kashiwagi. 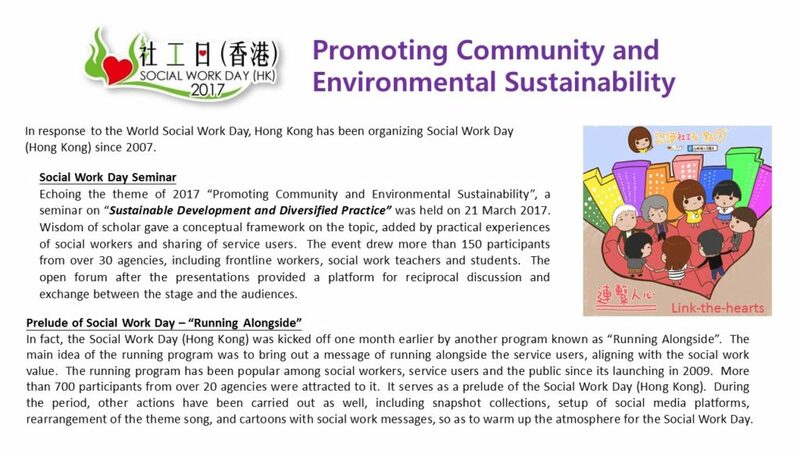 This WSWD celebration also served as an important kickoff event, since JCB will be re-organized this April under a new name, specifically the Japanese Federation of Social Workers (JFSW). 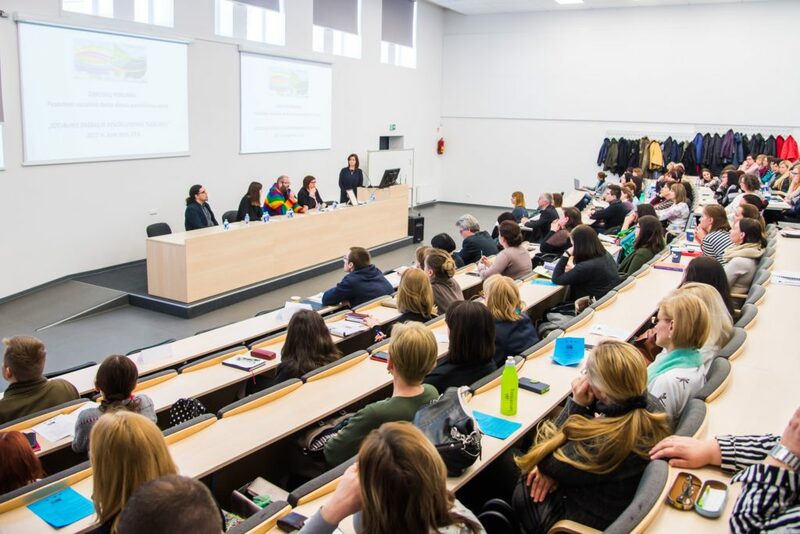 This decision by the four practitioners’ organizations was influenced by the merger of the three educational organizations in social work (the Japanese Association of Schools of Social Work, the Japanese Association of Schools of Certified Social Worker, and the Japanese Association of Schools of Certified Psychiatric Social Worker) into one, the Japanese Association of Social Work Education (JASWE). 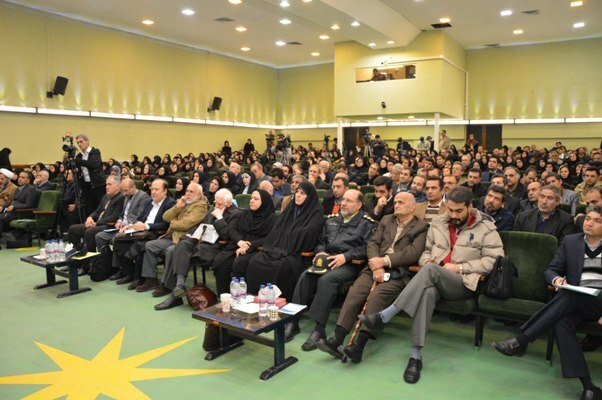 The newly renamed JFSW is expected to organize more joint events and engage in more joint projects between its four member organizations in the future. 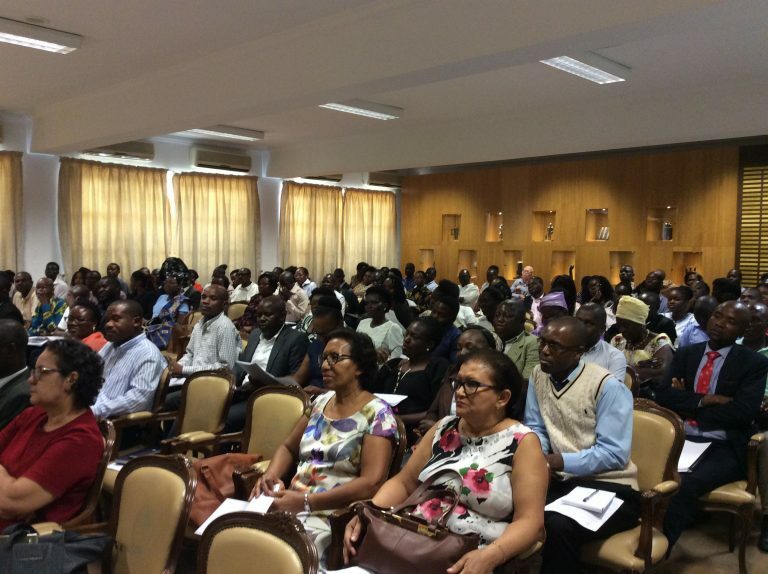 This World Social Work Day Event was very well attended with about 200 people from local social work associations, NGOs, as well as social work educators, social work students, and social service government officials from the Ministry of Social Development and Human Security. 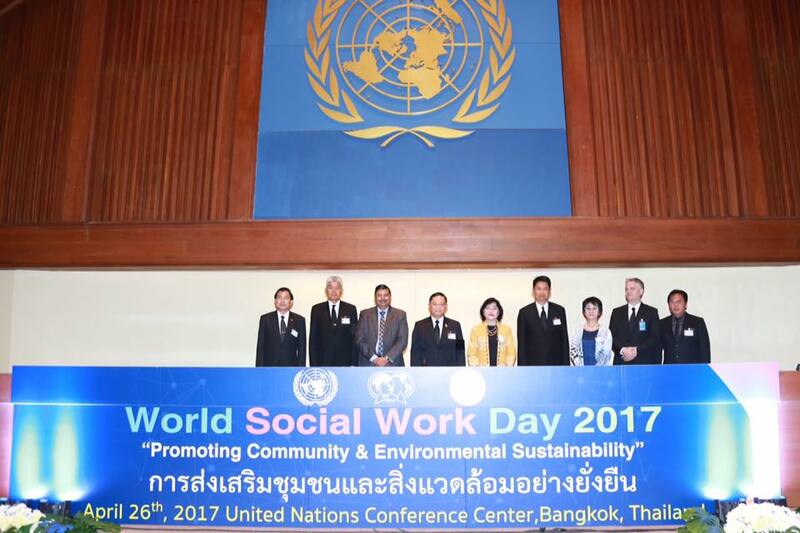 The event was strongly supported by the Thai government and initialized by one of the social work officials, who was a social worker and attended the UN event in New York last year expressing the intention to hold it next year too. On the first day, the opening speech was given by Dr. Decha Sungkawan, Professor of Thammasat University (also Secretary of the Asian and Pacific Association for Social Work Education). 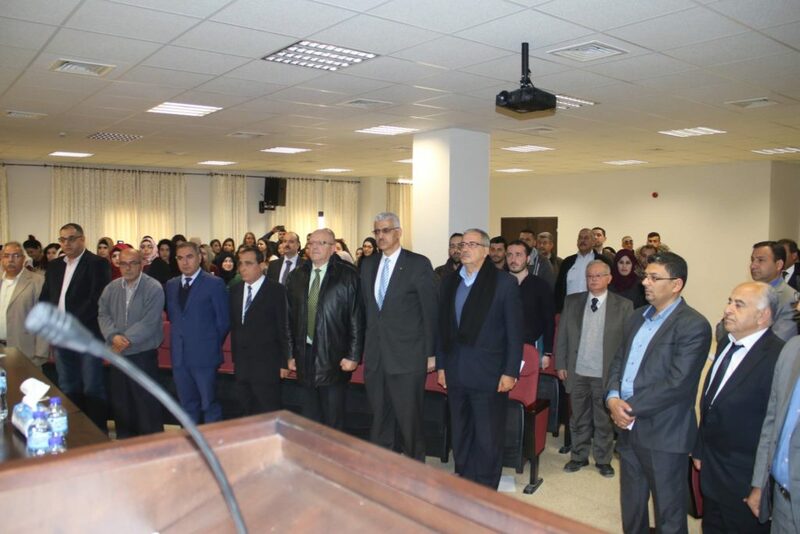 The opening ceremony was presided by the Minister of the Social Development and Human Security and two keynote speeches followed. 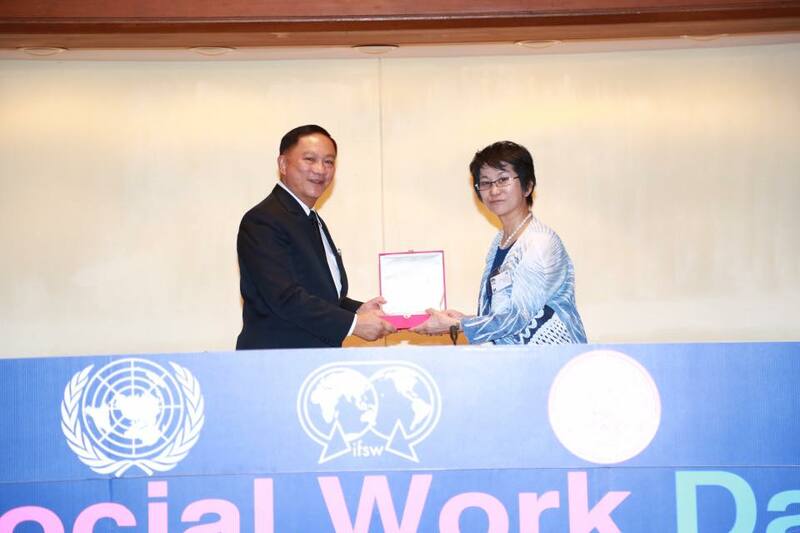 The first was given on social welfare and social work beyond the SDG’s by Dr. Nagesh Kumar, the UN ESCAP Representative in Thailand. 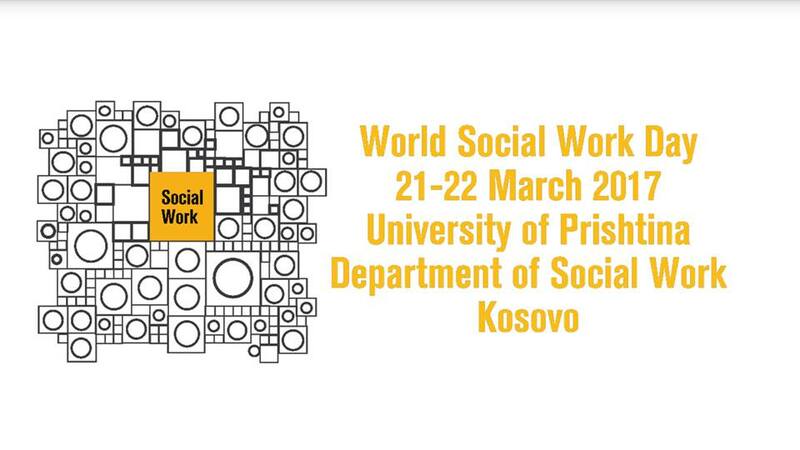 The second speech was given by IFSW-AP President Dr. Mariko Kimura on the Global Agenda and the roles of social work practice and social work education (see the full transcript below). 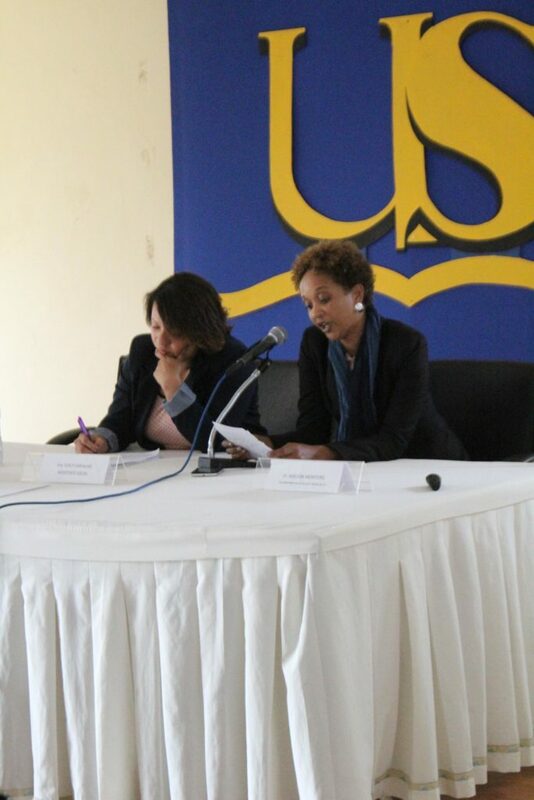 Next, a panel discussion took place with representatives of ICSW, IASSW (APASWE President Dr. Fentiny Nugroho, specifically), and the Thailand Association of Social Work and Social Welfare Education. 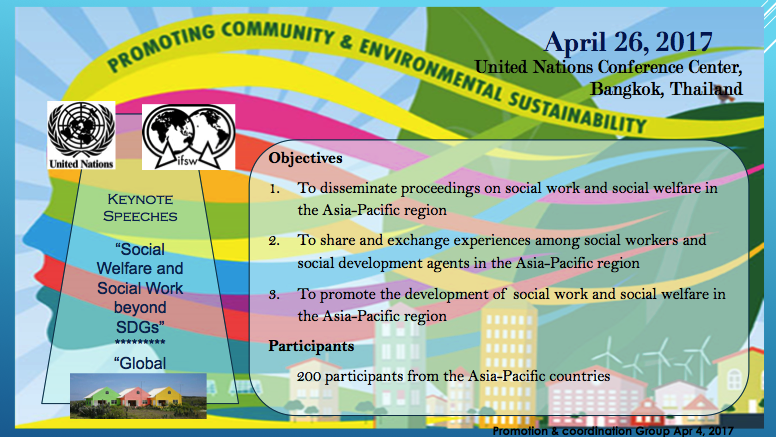 In the afternoon, there was another panel discussion on the role of social workers with participation from the social workers’ network in Thailand on the Global Agenda theme Promoting Community and environment Sustainability. 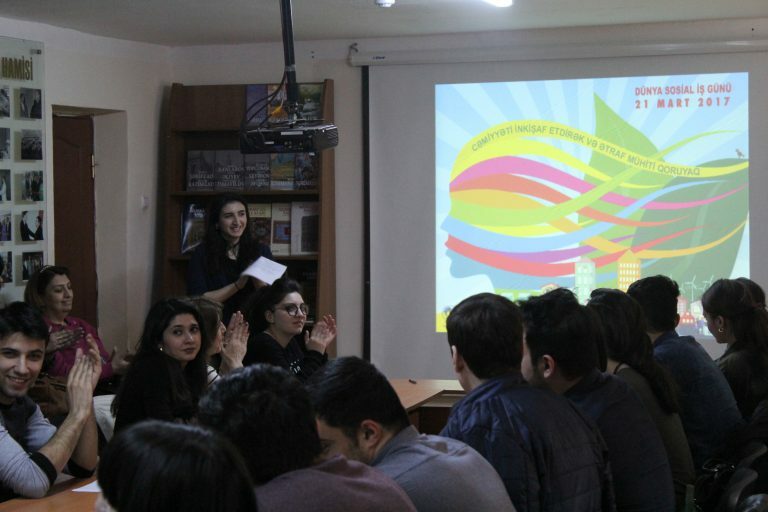 The second day event was a symposium by local social workers working at NGOs. Anglia Ruskin University (Chelmsford, UK) we celebrated with a showing of Ken Loach’s brilliant film I, Daniel Blake and a talk led by Guy Shennan (Chair, British Association of Social Workers) about their Boot Out Austerity campaign see: http://www.boot-out-austerity.co.uk/. We had a really impassioned discussion among social workers, students and service users about how we could support the BASW campaign. 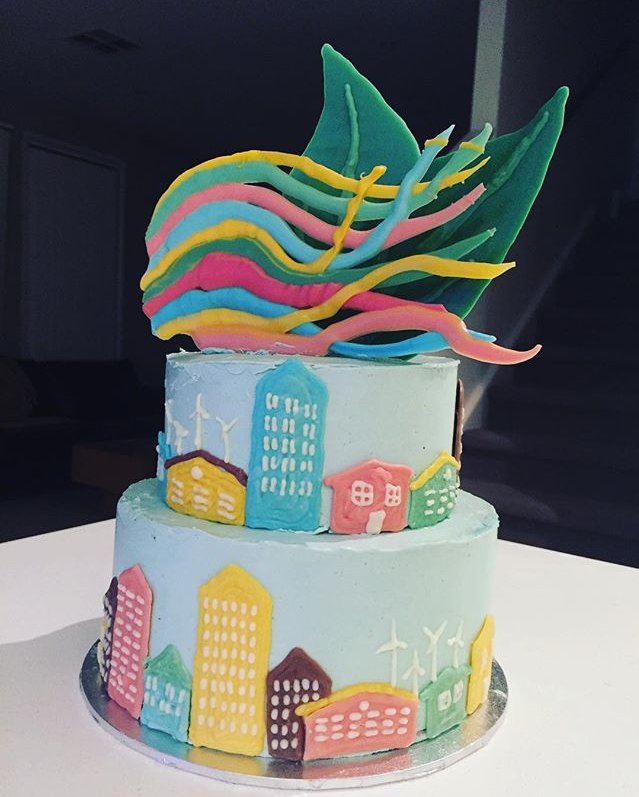 Social Workers in one chapter celebrated with a cake made from the design of the WSWD poster. 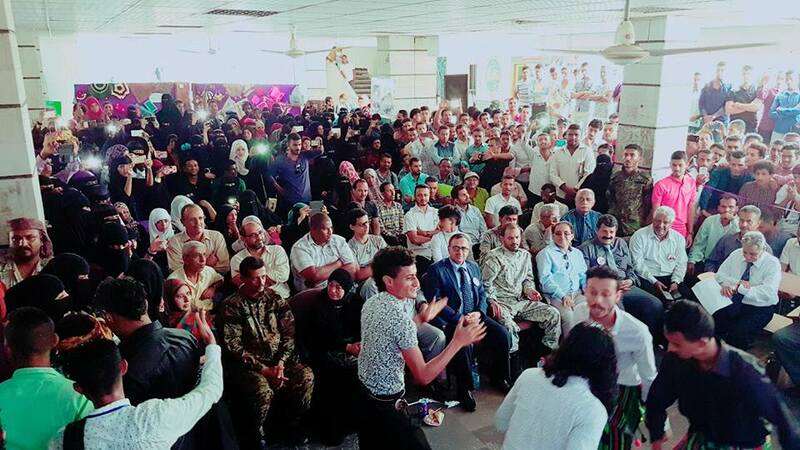 The President of the University of Aden, and Major General Shalal, the commander of the Aden police, Dr. Alawi, the Dean of the Faculty of Arts, Dr. Mohamed Haitham, the head of the department, the directors of the directorates, institutions and international and local organizations, and the employees of the profession. 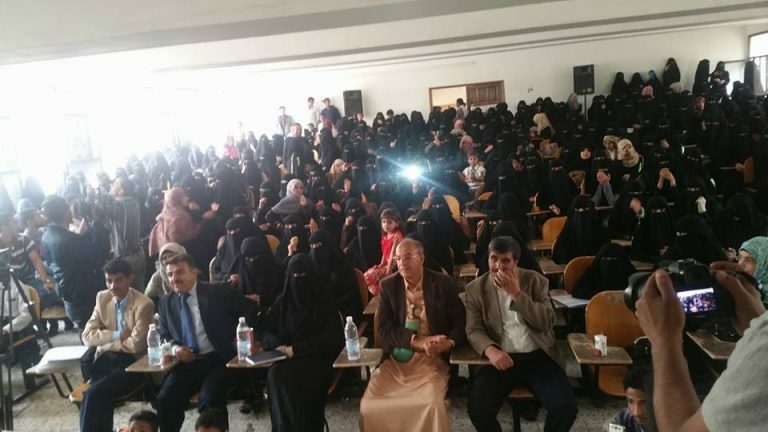 Social services, faculty members, students of the department and the college. 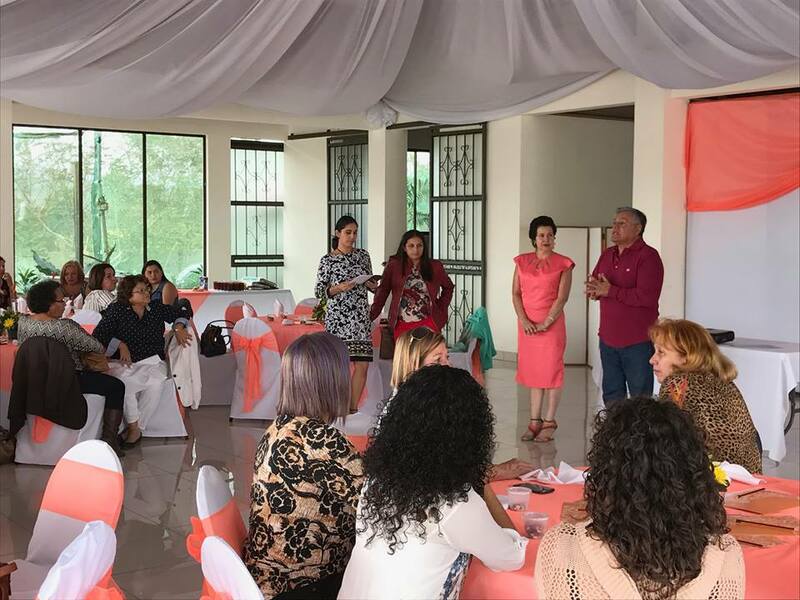 The ceremony included honorary activities, a charity dish, exhibitions and musical passages. 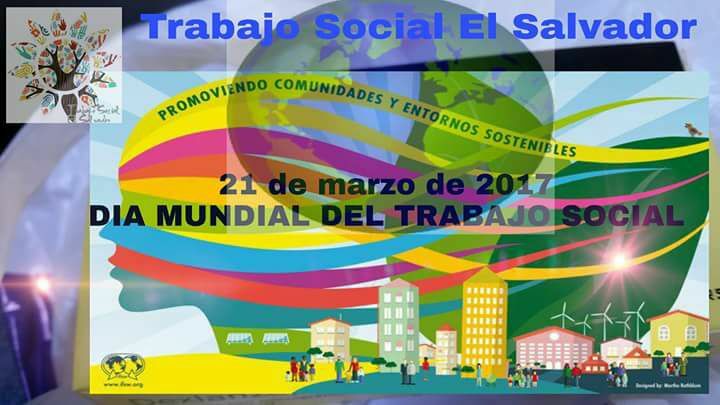 This celebration is an annual tradition in March of each year, which was determined by the International Federation of Social Workers.